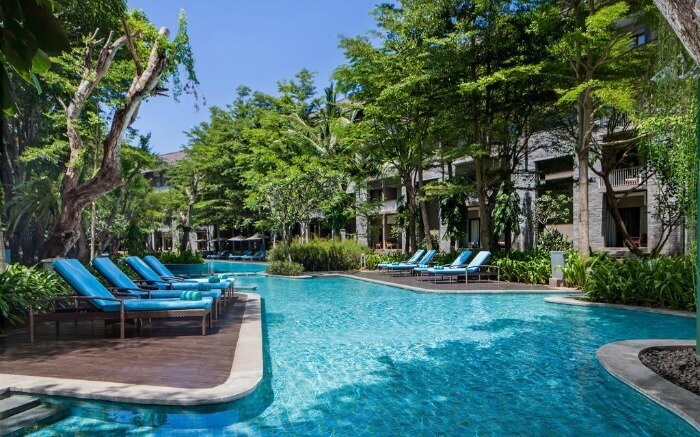 Peacefully resting on the eastern coastline of Bali, Nusa Dua is popular for its splendid beaches, gorgeous shorelines and high- end resorts. 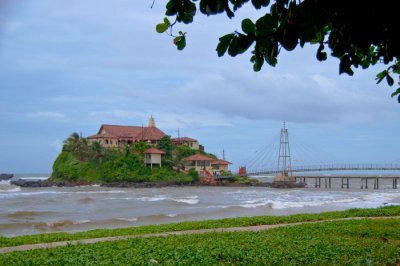 The island has completely been modified to turn it into a destination suitable for a lavishing island-holiday. There’s no lack of isolated long stretches of golden & white sands and secret coves that are just perfect for your Nusa Dua honeymoon.Nusa Dua has long drawn honeymooners to its spectacular and lavishing land. 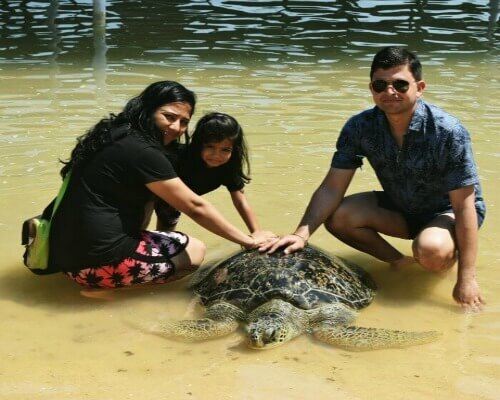 Let’s explore what the island and the beach have to offer to newlyweds planning a honeymoon here. Do you see that yellow circle? That’s where Nusa Dua is. 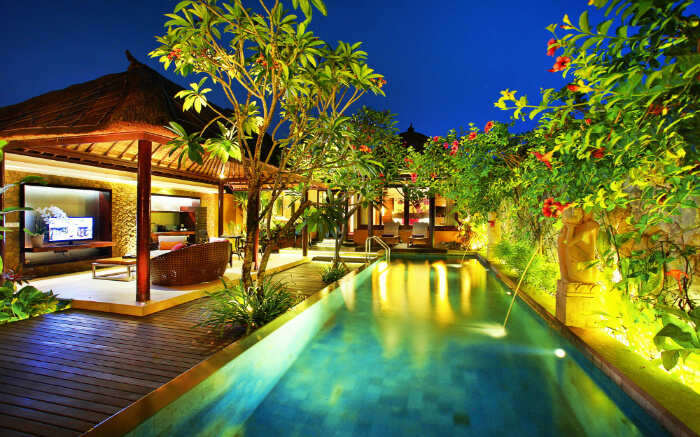 It is conveniently situated about 22 kilometers from Denpasar, which is the capital city of the Indonesian province of Bali. 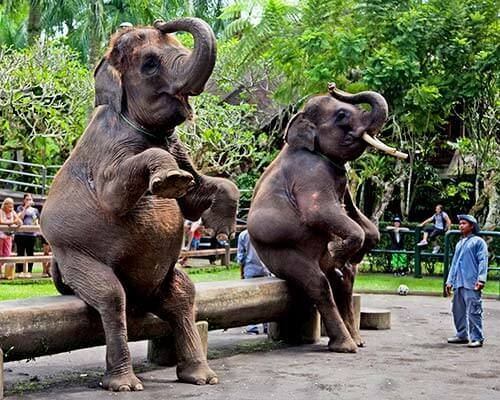 Nusa Dua is also near the popular Kuta (about 30 km), but these two are from entirely different worlds. 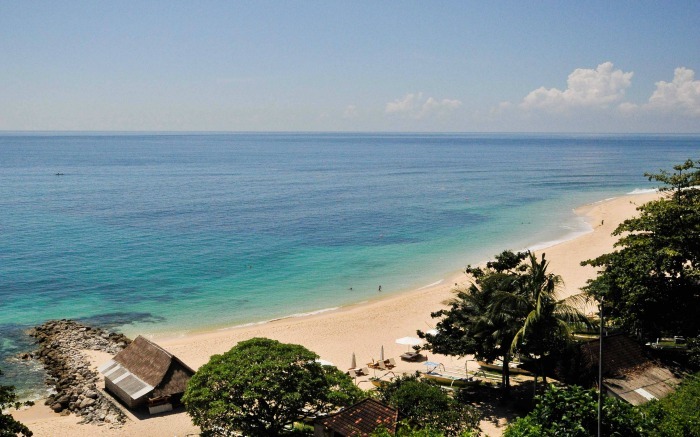 While Kuta is brimming with tourists, Nusa Dua is a secluded island with less crowded beaches. 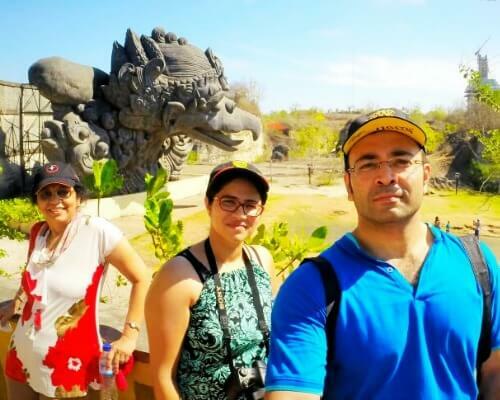 Best time to visit Nusa Dua Island for honeymoon: Dry Season, which runs from April to September is the best time to visit Nusa Dua for honeymooners. There are occasional rain showers and the weather remains extremely pleasant. 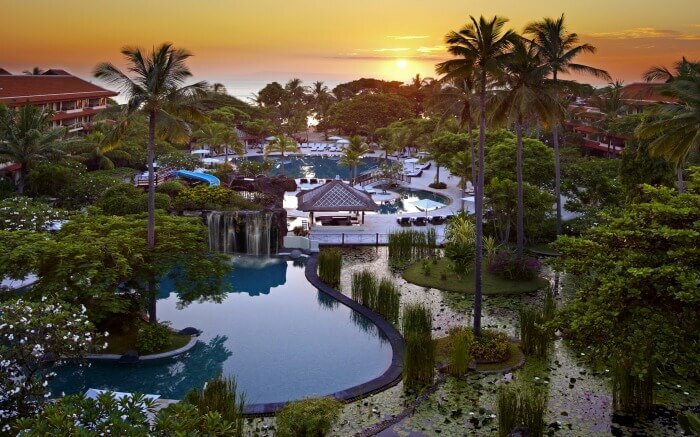 Ideal duration: Nusa Dua is a tiny island and you can explore the whole island in 4 nights. 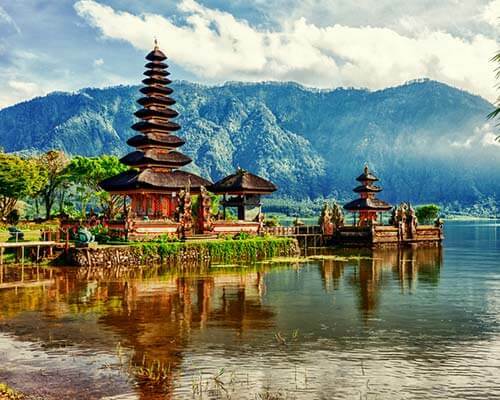 These gorgeous places to see in Nusa Dua will add more charm to your honeymoon. 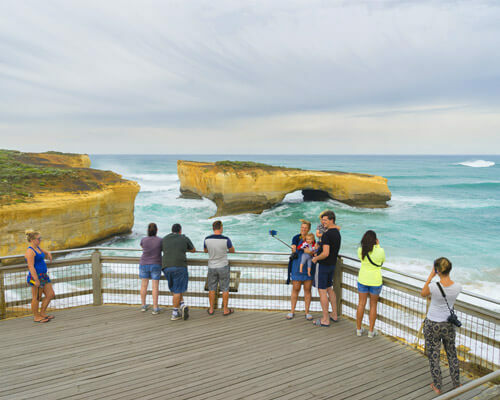 Take note of these experiences so that you don’t miss out on them at all. Water Blow is something unique and you don’t get to see something like this everywhere. 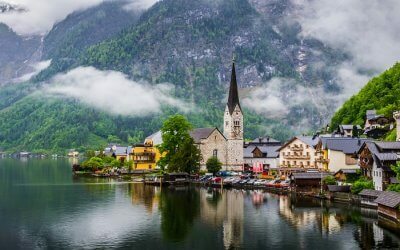 This place is insanely gorgeous, peaceful, and romantic. It’s a reef with a small opening, whenever the waves come in through this opening, they hit the reef with immense force and then rise up, which looks incredibly spectacular. 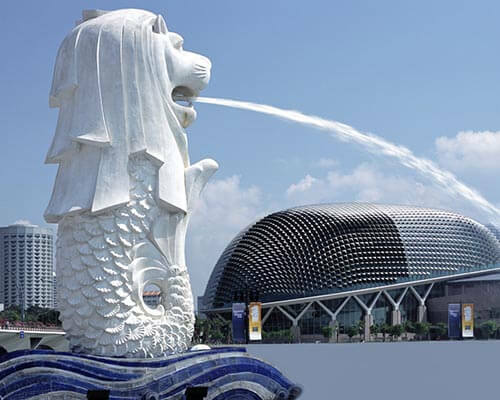 You can take a shuttle from your hotel or resort to reach here. 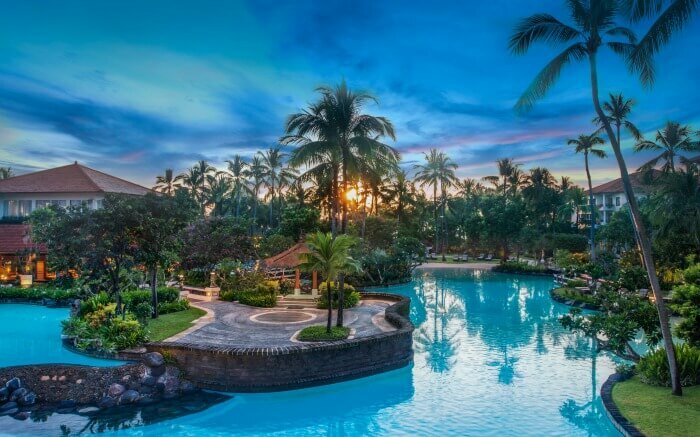 Suggested Read: Witness The Best Of Nusa Dua Nightlife By Visiting These 10 Famous Places In 2019! Both of you will love the calming sound of the waves, the soft sand crushing against your skin, the lovely sunsets, and the clear waters of Nusa Dua Beach. 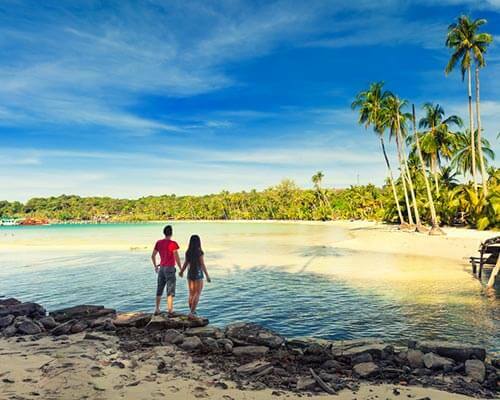 It’s a clean beach where you can sunbathe with your partner and go for swimming. There are food shacks on the beach where you can try delicious Balinese food. 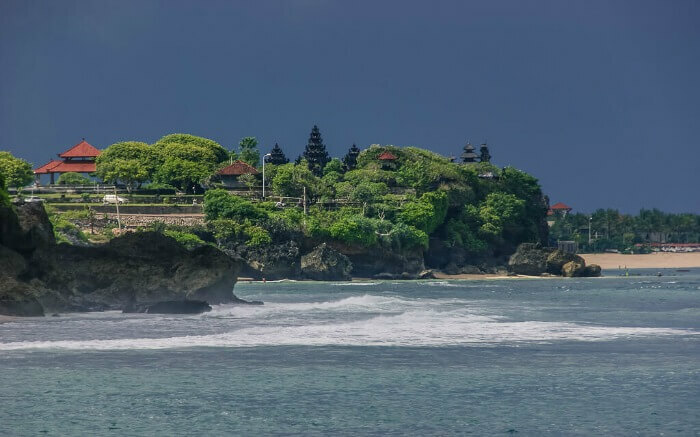 Nusa Dua Beach is at a walkable distance from most of the honeymoon resorts and hotels, but you can also take a shuttle or hire a bike to reach here. 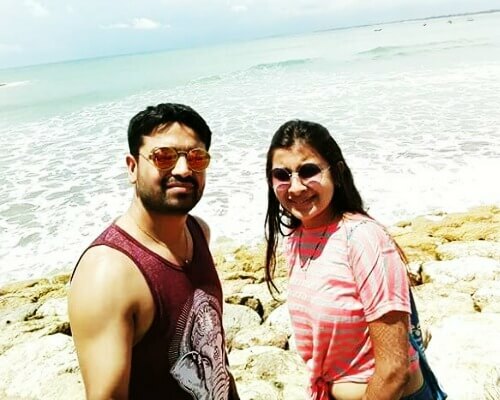 Geger is a clean and beautiful white-sand beach. 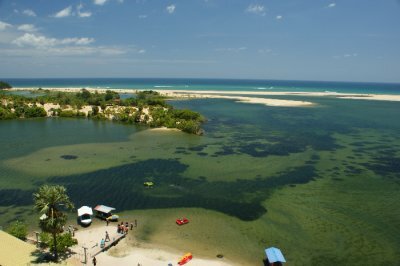 It mostly remains less crowded as compare to other beaches in Nusa Dua, which gives you enough private time to spend with your love while lying on the beach under the warm sun. You can swim here all day long or go for a snorkeling session. There’s a small restaurant on the beach that serves snacks at reasonable prices. 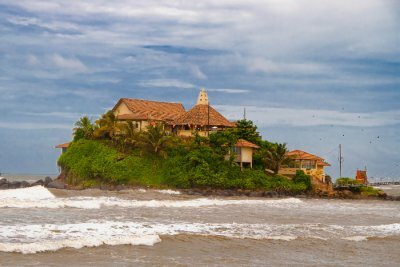 If you’re looking for a place to spend a romantic evening without being disturbed by anyone, then Mengiat Beach is your place. There are some sundeck chairs on the beach so that you can relax and enjoy the views of the beautiful waters. Those who aren’t comfortable in deep water should avoid swimming here. You can reach the beach either by riding a bike or taking a shuttle from your hotel. 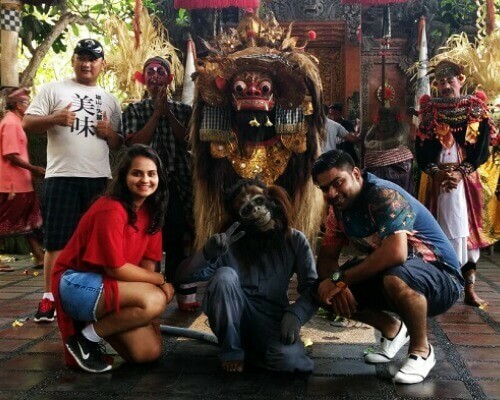 Geger Temple is one of the most beautiful attraction near Nusa Dua beach, and you must include it in your itinerary. Although it’s not a popular thing on the island, but this quiet place is a perfect point for some breathtaking vistas. It’s a bit steep walk but worth it! 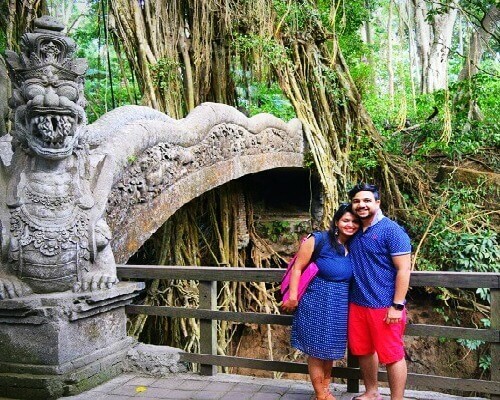 While there is a lot to do in Nusa Dua, here’s a list of the must-have experiences for the love birds. 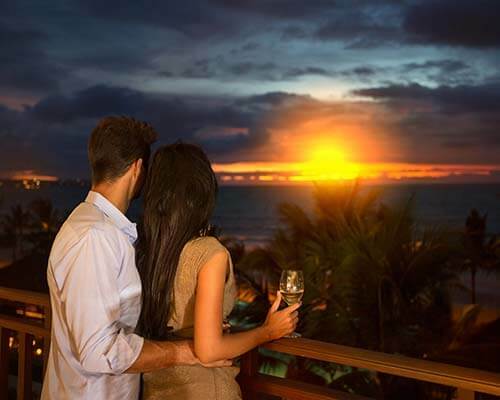 Take a look to add more romance to your honeymoon! 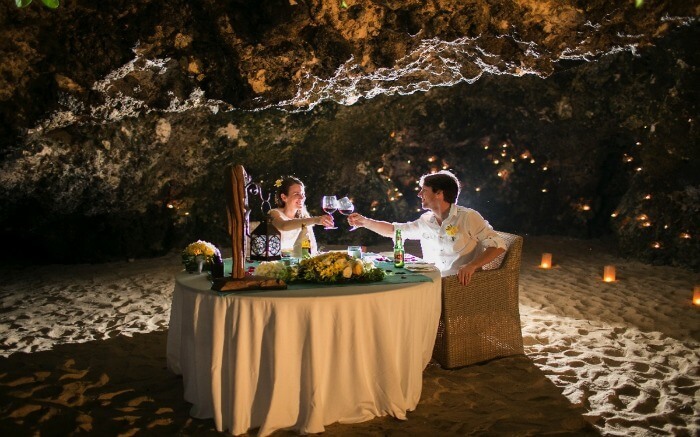 Surprise your beloved with a unique and utterly romantic cave dinner. The cave is decorated with fairy lights, lanterns, and the music of the dancing waves make it an unforgettable experience for both of you. 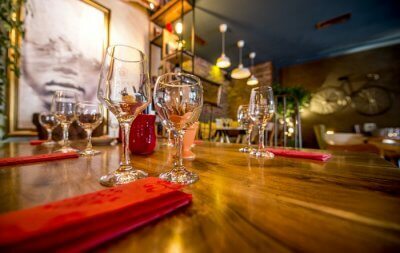 It’s a place for creating some beautiful memories together. Suggested Read: 5 Best Beaches In Nusa Dua For Beating The Heat With A Splash! 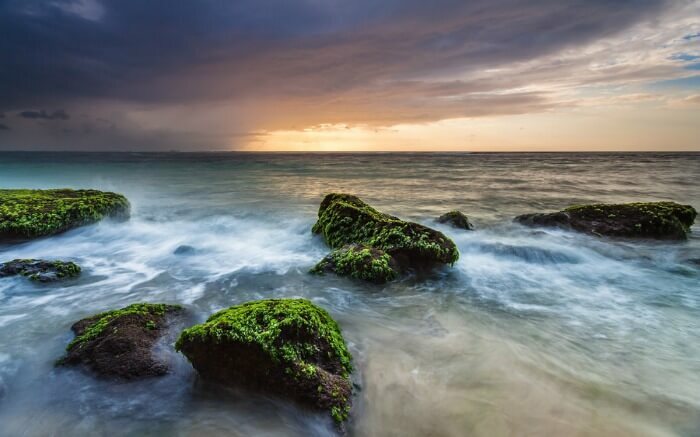 Surrender yourself to the tranquility and beauty of the sea. 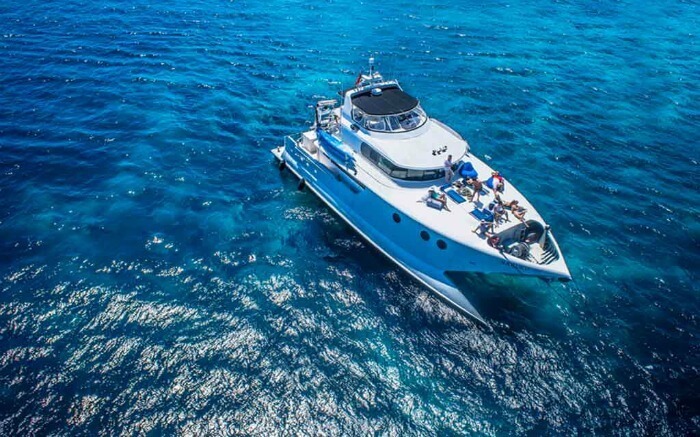 It’s going to be a fun and romantic full-day cruising. They have snacks, drinks, fresh seafood, and vegetarian food on the cruise for their guests. All you have to do is lose yourself in the unspoiled beauty of the neighbouring Nusa Lembongan island and experience nature in its purest form. 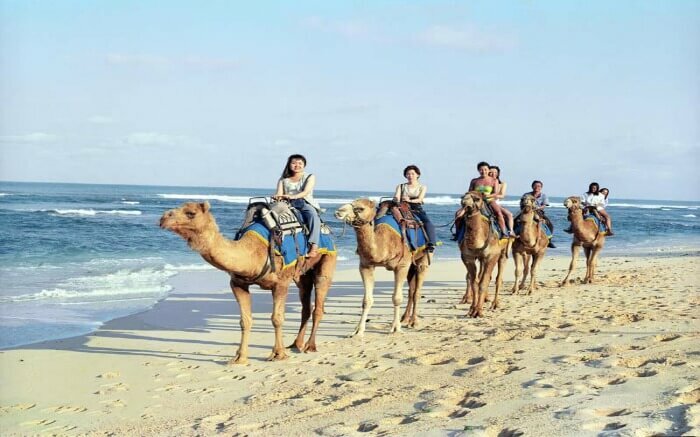 Enjoy the cool breeze of the Indian Ocean while you ride a camel on the sandy beaches of Nusa Dua. There’s a 60 and 30-minute long camel ride session available, but a 30-minute ride should be more than enough. Sitting on a camel for a longer period of time may make you uncomfortable. 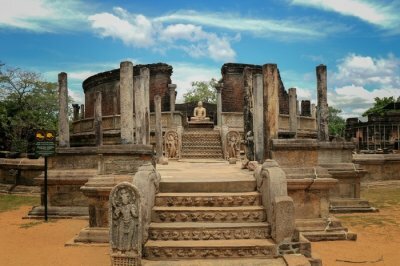 Devdan Show is a vibrant visual tour of the gorgeous nation’s culture and diversity. 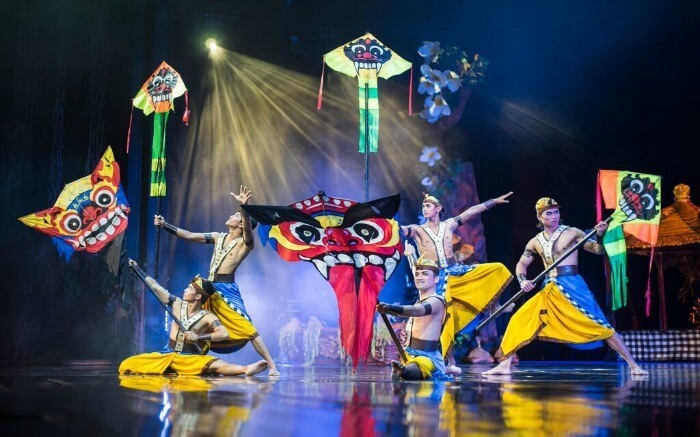 There’s Indonesian dance form, modern contemporary dance, some marvellous special effect shows, and the finest aerial acrobatic performances. The colours, dazzling costumes, and incredible performances will transport you to a completely different world. 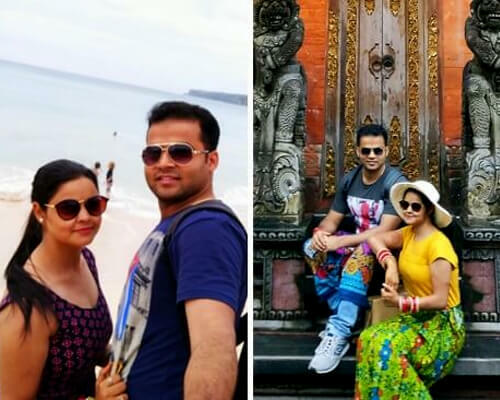 One has to book tickets for the show 3 months in advance but couples can get rid of the hassle of arranging everything on their own by booking one of the Bali honeymoon packages. This gives you enough time to prepare for the things that really matter to you. There are plenty of spa centers in Nusa Dua where you can get a therapeutic Balinese massage. Luxurious hotels have their own spa centers for their guests, you must ask your staff before booking a session elsewhere. After a day full of adventures, walking, and swimming, you will need it. 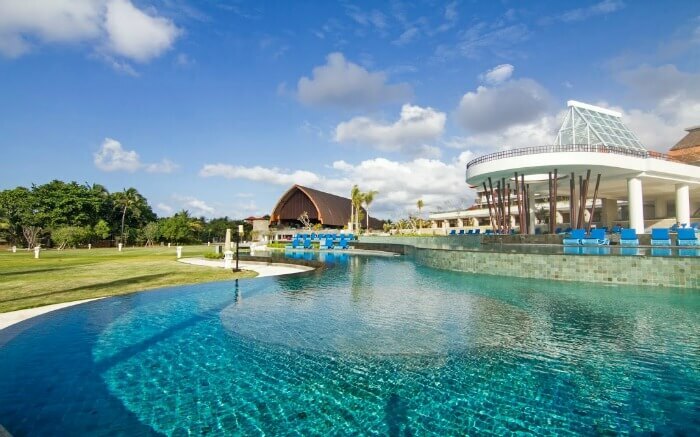 If you’re looking for the best Nusa Dua honeymoon resorts, here’s a list of the top hotels where you can with your partner for a memorable experience. 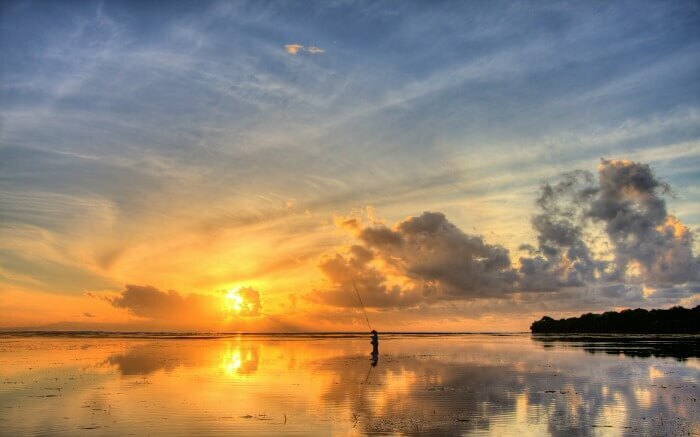 Spend your romantic vacation taking long walks on the secluded beaches, seeing the gorgeous sunsets, and swimming in the pristine waters of Nusa Dua. Let the power of nature bring both of you closer than ever. 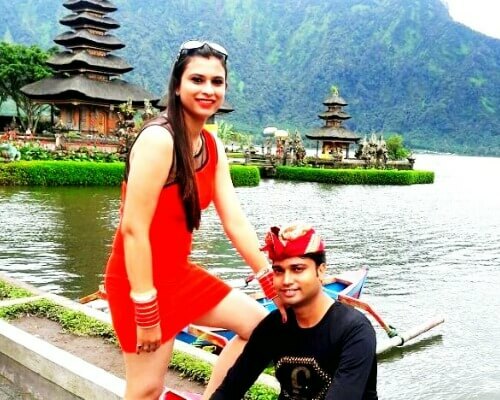 Just plan your Bali honeymoon with TravelTriangle right away and let the spark reignite.